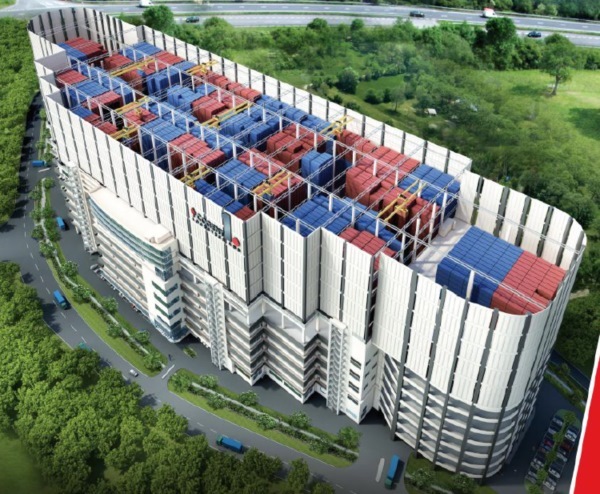 The world’s first and only logistics hub that has obtained Singapore and European patents for its innovative integrated depot design. 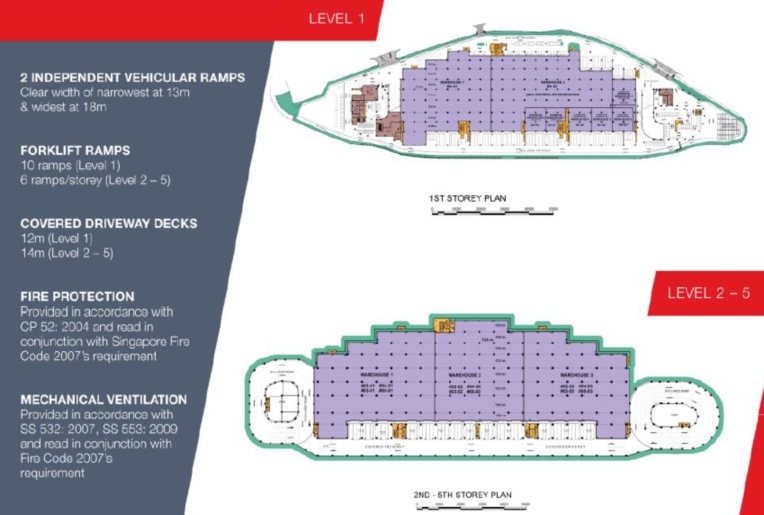 Achieve Economies of Scale with large single floor plate of approx 280,000 sqft (can be partitioned to a min of 20,000 sqft depending on usage). High number of dock levelers with an average of 15 dock levelers per 100,000 sqft. 2 independent vehicular ramps for warehouse and sky depot. 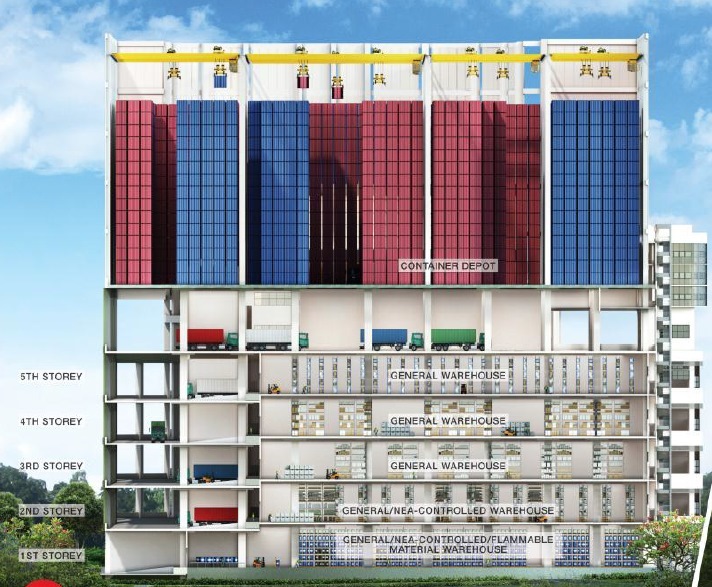 Purpose-built to store NEA controlled (chemicals & hazardous materials), flammable materials, project cargoes & general cargoes. Shipping containers at your door step. 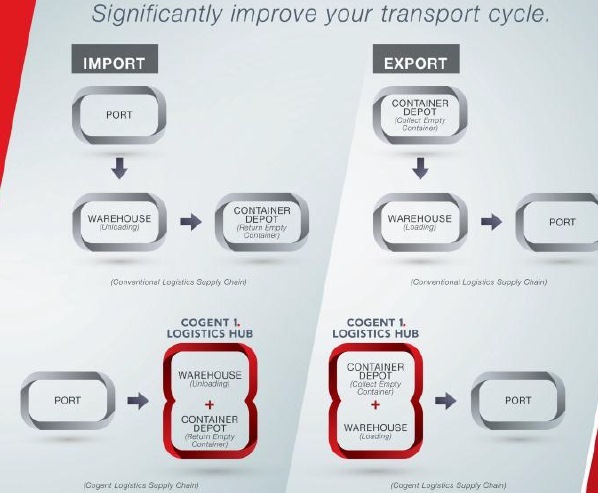 Save 1 transport trip per cycle using the shipping lines in the integrated depot. Improved work efficiency, productivity and readiness with containers stored within the same hub. Eliminate long transport time taken to collect & return containers to conventional depot. Eliminate long waiting time and long queue at conventional depot. Faster response time to urgent import/export requests. Easy retrieval of shipping containers.